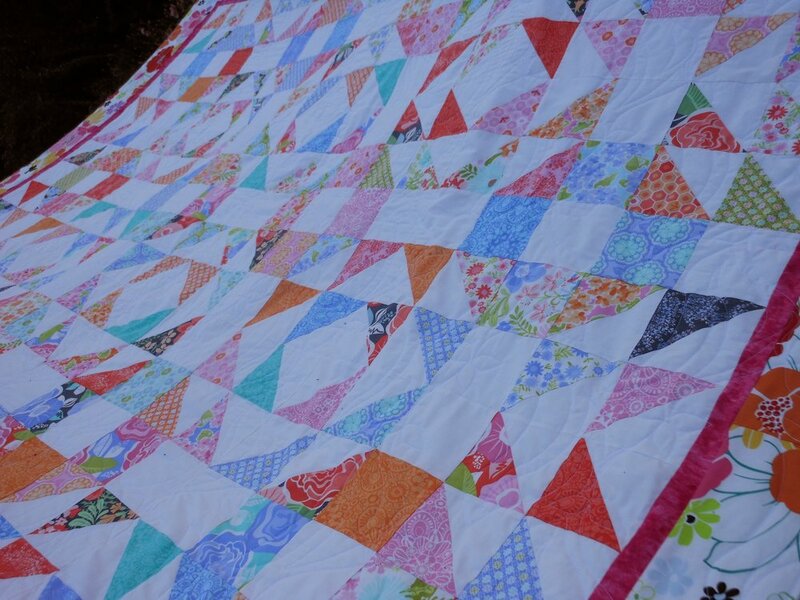 Since I am not a fan of heavily quilted quilts, Jackie assured me she would quilt it loosely and use a bird pattern. 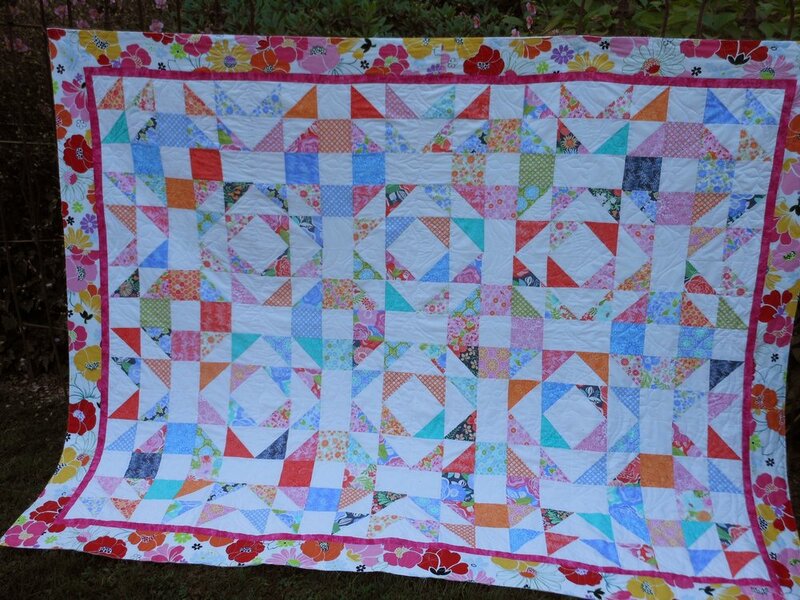 As the quilt was going to a granddaughter who is a high school art teacher, I wanted it to be colorful and for the piecing to take center stage and not the quilting. Jackie did just as I asked and my granddaughter loved it.